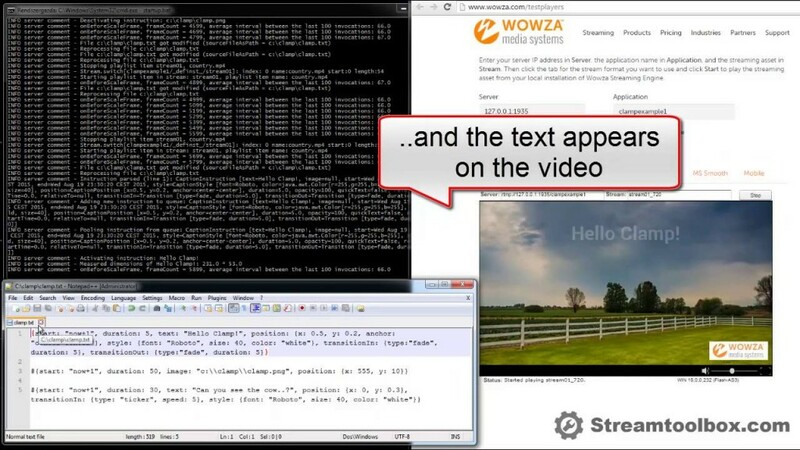 Rapid video showing the standard caption and photo overlaying functions of Clamp from Streamtoolbox. This module for Wowza Streaming Engine ™ will permit you to set overlays on a live or vod video stream on-the-fly. Hi! Could the add-on do live-video overlay? Let's say my friend and I are playing the same game, and I would like our POVs on the same screen kinda effect? Thanks!